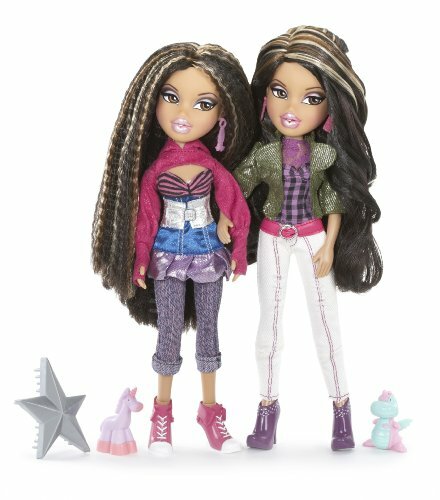 Little ones find it irresistible the cute and huggable Twinz Doll Pack from Mga Entertainment. The doll is 12.5" Height x 11" Length x 2.5" Width. Part# 0035051502517. 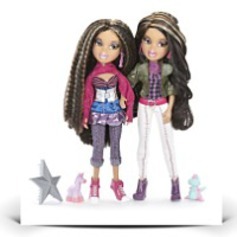 The Bratz doll comes with a warranty of ninety day warranty against defects from the manufacturer. Dimensions: Height: 12.5" Length: 11" Width: 2.5"
Package Dim. : Height: 2.75" Length: 13" Depth: 11"